Coffee wakes you up and that is great, but you are about to learn how drinking coffee daily can reduce your chances of getting colon cancer. That makes it an even more appealing daily beverage. 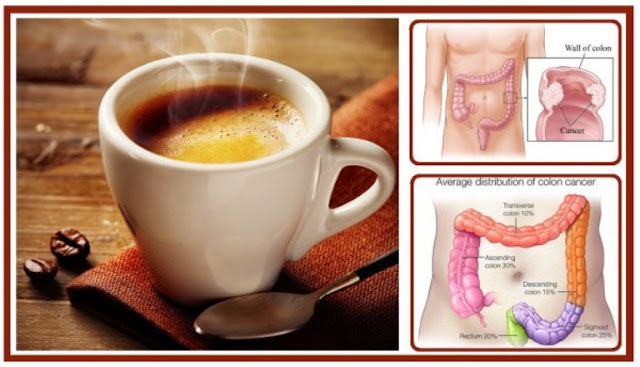 Those suffering from colon cancer who happen to drink a lot of coffee actually are doing themselves a favor because they decrease their risk of dying or seeing a recurrence of cancer after remission. This is because those who drink two to three cups of coffee a day start seeing the benefit, while those who drink four or more cups a day see the recurrence of cancer drop to half that seen in non-coffee drinkers. Studies are not conclusive though, according to scientists. They do not see a direct cause and effect relationship between drinking coffee and not seeing a recurrence of cancer. Instead, they say there may be other factors that were not obvious that may be the difference for those who drink coffee and those who opt not to drink caffeinated beverages. Meanwhile, coffee does have some benefits that are proven. It helps reduce death overall and helps individuals lower their chances of being diagnosed with Type 2 Diabetes. It also reduces the risk of colon cancer from the onset and helps keep your mind sharp so dementia does not set in. The antioxidants and anti-inflammatory properties that coffee has go a long way toward helping with these diseases. For those who drink coffee and also tend to be high stress, intense and compulsive in eating habits and other aspects of their lives, scientists say this could be more of a contributor to the lack of cancer recurrence. Coffee drinking, particularly in the higher ranges of daily consumption, can simply be the visible indicator that an individual behaves a certain way and handles their illness a certain way so that it does not recur after remission. Even if this is the case, scientists say there are plenty of reasons for people to continue to drink their coffee and few that would recommend cessation, especially when considering the benefits outlined here and the fact that recurrence of colon cancer decreases in those that drink such high amounts of coffee on a daily basis. The study that provides these results involved almost 1,000 patients with stage 3 colon cancer, studied over a period of four years and required to fill out questionnaires about what they ate and how their lifestyle was both during chemotherapy and again six months following. Those who drank four or more cups of coffee showed as 52-percent less likely to have their cancer come back. Those who drank two to three cups of coffee were 31-percent less likely to have their cancer return. These results, however, did not show up with sweetened coffee alternatives. So stick to the real thing if you are hoping to see a benefit like cancer recurrence reduction.